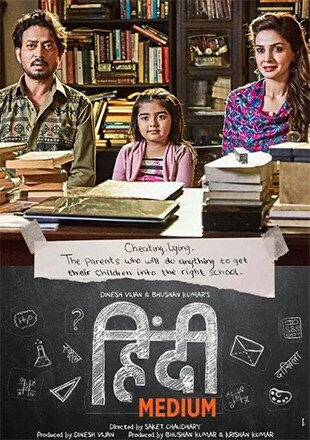 Hindi Medium Scores Big Figures! Saba Qamar’s Hindi Medium that had received tremendous appreciation from the Indian critics has now crossed the 50-crore mark in the Box Office and accordingly, to the filmmakers is still going strong. It currently stands at the Rs.54.90 crore. The film can be declared an enormous hit for it has earned 147% of its earnings back. This is a huge turn out for someone in the Pakistan Entertainment Industry. Although Mahira Khan still stands at the front of the line (her film Raees earned approximately 100 crore at the Indian Box Office), it looks like Saba Qamar does not lag far behind. She and her co-star Irrfan Khan have been praised enormously for their acting performances in the movie by audiences all over and the story-line has been given credit for being hugely relatable, comical as well as adept to the real-life dilemma faced by parents when admitting children in school. The film was released along with Half Girlfriend which was admittedly not such a huge success with the audience at large. Word has it that the movie is bound to hit the 100-crore mark. Let’s await and see if that does indeed happen. Do you think Hindi Medium is up to it? What are your thoughts on the movie? Let us know!